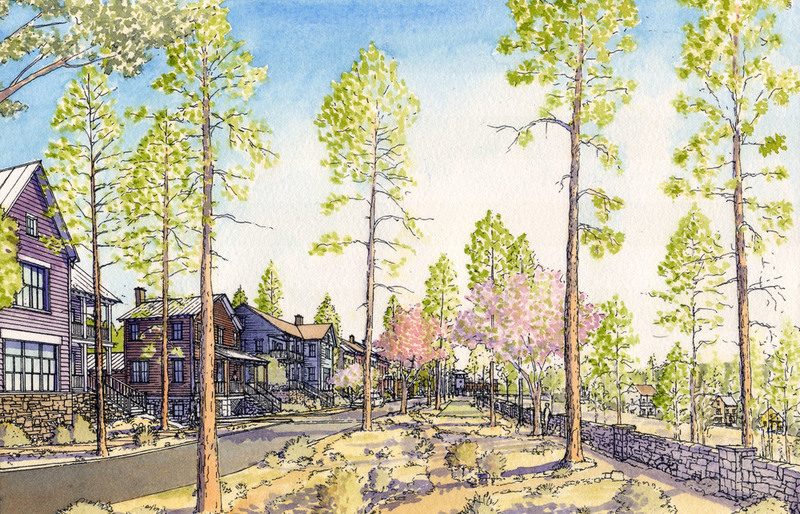 Juniper Point was designed to be a new traditional development located southeast of downtown Flagstaff, AZ. It was bordered by Interstate 40 to the north, Pine Canyon community to the south, Coconino Community College to the west, and state land to the east. Bisected by the picturesque Bow and Arrow Wash, the property also includes stunning natural features, including Ponderosa pine trees, rolling topography, and splendid views of the San Francisco Peaks. Preservation of these natural attributes demanded an innovative design solution. 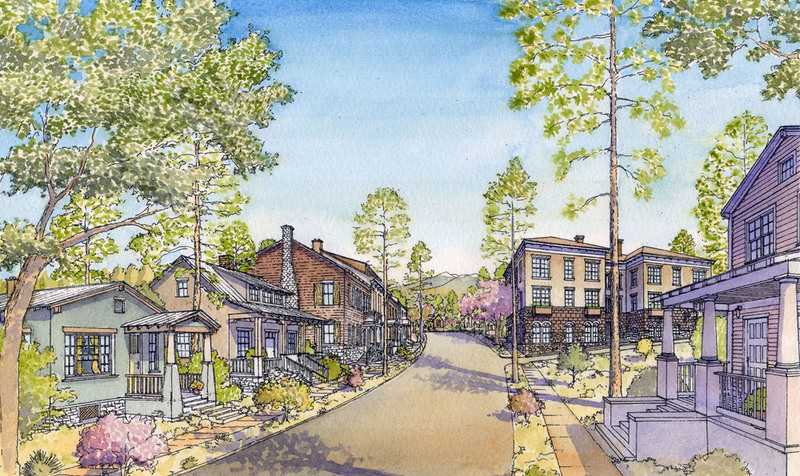 The resulting Master Plan is a series of mixed-use, mixed-income neighborhoods that are integrated with nature and connected with trails that will allow current and future generations to enjoy the region’s natural amenities. Dover-Kohl worked in collaboration with The Offices of William P. Ring, P.C., Shephard-Wesnitzer, Inc., Hall Planning & Engineering, and Zimmerman/Volk Associates in the creation of this plan.